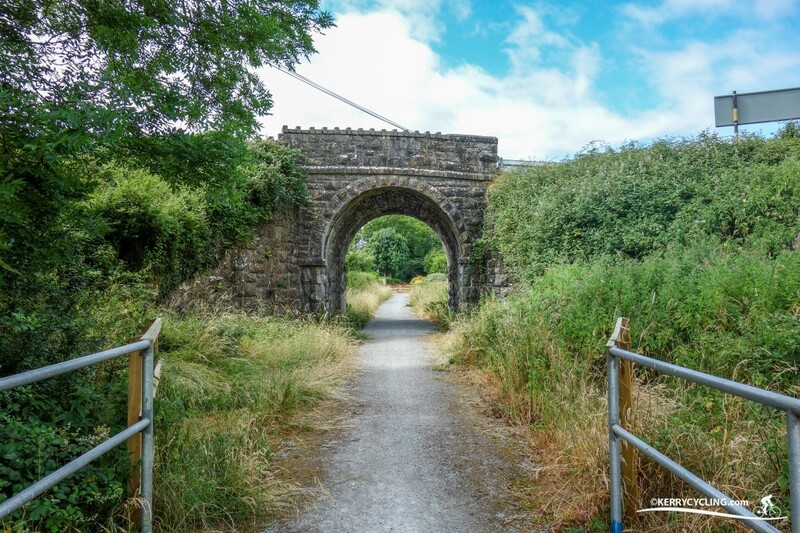 The Great Southern Trail is an off road greenway trail on a section of an old Railway Line in Counties Kerry and Limerick. It is intended to be 85 kilometres long eventually and when complete will run all the way from Tralee to Limerick. At present (Summer 2018) only the section between Abbeyfeale and Rathkeale is completed (35km) although plans are currently submitted with Kerry County Council to develop the Abbeyfeale -> Listowel section, adding another approximate 10km to what exists currently. Sometimes it is easy to get a little tired of heavy traffic on Kerry roads during the tourist high season and even the grassy roads that are traditionally quiet for the other 3 months of the year seem to have been found by many roaming SUVs during Summer. Options for some off-road gravel cycling are limited in the county with the Great Southern Trail being a good exception. 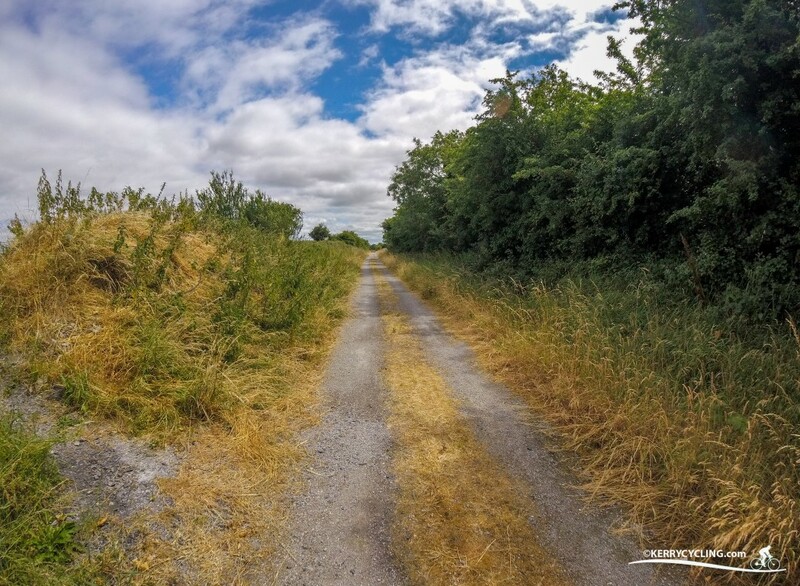 Recently I headed out to Abbeyfeale after a good recommendation to try the trail there, as I was looking for something a little different and I was not disappointed. 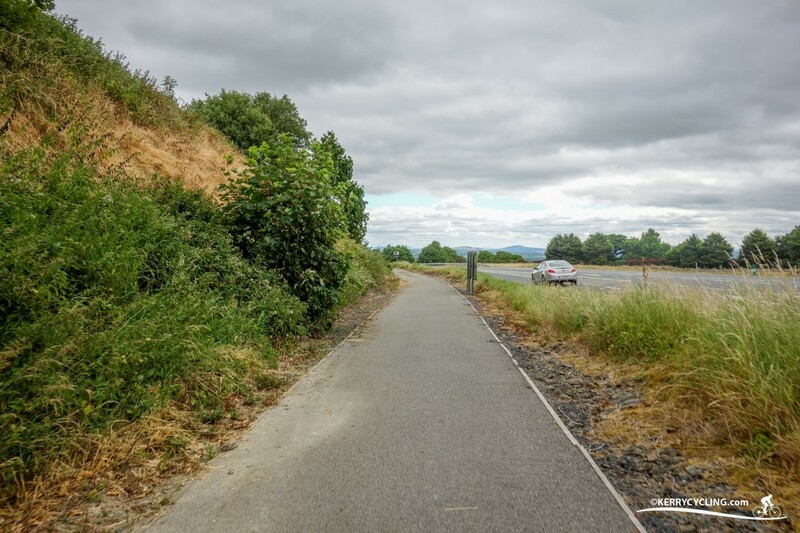 When I cycled this trail the country was in the midst of a heatwave which I knew would make for a very dry trail, it made me decide to try cycling it on my old racer with 25mm puncture resistant tyres. I just about got away with doing that. Ideally the trail is suited for a hybrid bike, mountain or gravel specific bike with at least 30mm width tyres. The surface for the most part is impacted gravel which is stable underneath but still there is a lot of loose chippings and I was so fortunate with my racer not to have experienced and punctures of difficulties during the trail, but again please don’t bring your €3,000 racer bike, you won’t thank me if you do. As soon as you are on the trail you can breath a sign of relief as you are away from motor traffic and even from what I found, pedestrian and cycle traffic was more or less nonexistent also. The trail meanders through a beautiful agricultural landscape with rolling hills and nature in abundance. You will on occasion come across old stations on the railway line that have either fallen into ruin or in some cases been successfully been converted into family homes but still maintaining their old station charm. The cycle facilities along the way are excellent with many cattle grid crossings and gated entrances ensuring a good harmony between the cycle trail and the reality of where it sits amidst a lot of agricultural land. Directions are very easy to follow and the variety of terrain as a change of scenery from road cycling never left me uninterested. If you are planning on travelling all the way from Abbeyfeale to Rathkeale and back then you have options of getting some food in Newcastle West or Rathkeale or being self sufficient and bringing enough food to get you through the journey. I tried to get a snack in Newcastle West and found the Trail Head Location a little outside of town a bit awkward for trying to get something convenient and healthy. Coming to the end of the line and seeing the below is both and good and bad thing, in one way a poor reflection of potential that exists that is not currently being used, but the fact that Kerry County Council have planning in for further development is at least a glimmer for the future but let’s not be under any illusions, County Kerry is miles behind other parts of the Country in terms of Greenway development. Let’s hope that changes soon. 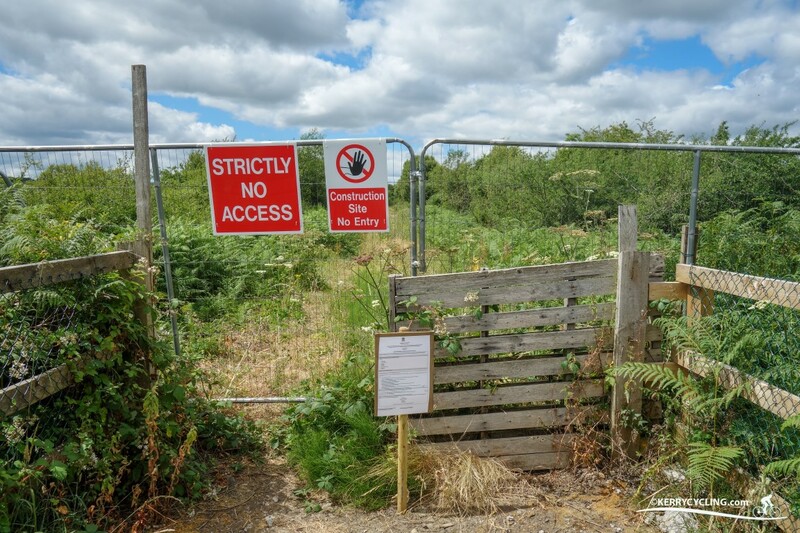 The end of the Line at Abbeyfeale with a planning permission notice to develop the Abbeyfeale -> Listowel section. More Information about the trail is available on the Southern Trail Website. This is great! Thanks for sharing, I will definitely check out that route.